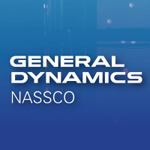 A General Dynamics subsidiary has received a $34.3M contract modification from the U.S. Navy to support fiscal 2019 dry-docking efforts for a Nimitz-class aircraft carrier. NASSCO will perform repair and alteration work on USS Carl Vinson hull, systems and equipment through July 2020 at a facility in Bremerton, Wash., the Department of Defense said Friday. The Navy issued the modification to exercises an option and authorize the fourth major availability under a previously awarded contract. The military service's Puget Sound Naval Shipyard and Intermediate Maintenance Facility is the contracting activity.